Hi there! My name is Nick, and I am a Senior Sales Associate at Music & Arts Glendora (formerly Gard's Music). As a member of the Music & Arts team, it is my goal to help people achieve their music dreams in whatever way I possibly can. 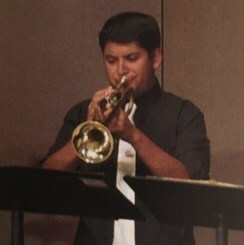 I have been playing brass instruments for nearly a decade, and I have been surrounded by music all my life, so please do not hesitate to contact me or any of my co-workers with your needs, no matter how small they may seem. We are here to help.